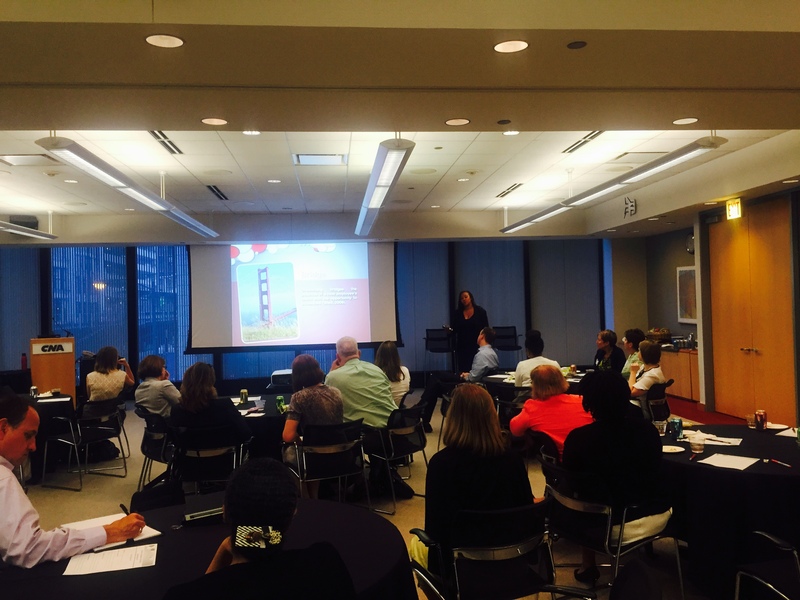 Thank You ATDChi Corporate University Professional Development Network! Thank You ATDChi Corporate University PDN! 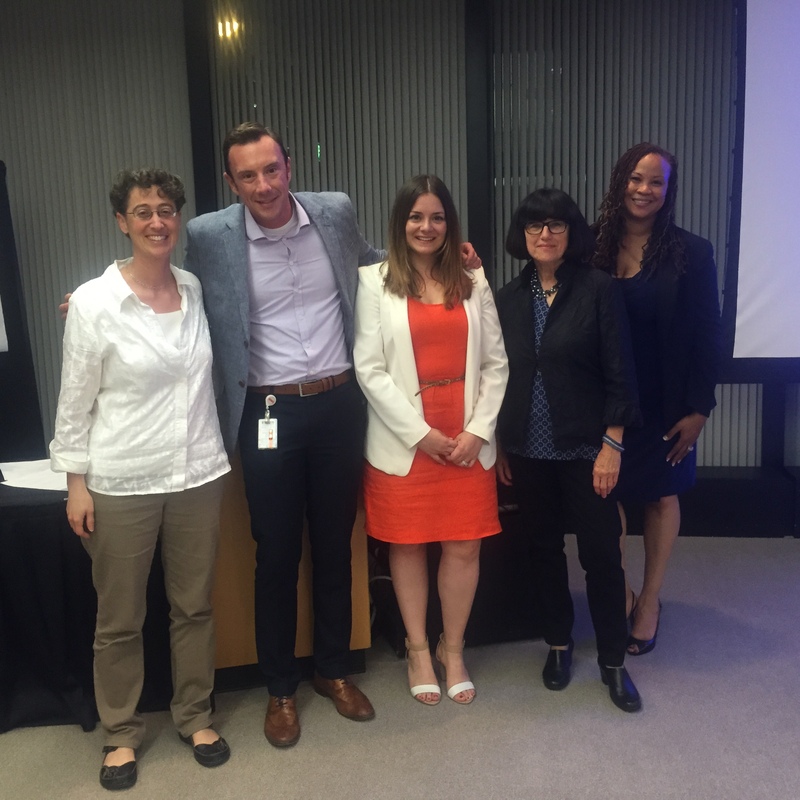 Under the leadership of Project Manager Susan Gonzalez, Monica Gedris MA and Dr. Gia Suggs shared their individual and combined experiences and lessons learned on the development of Onboarding processes. Mrs. Gedris and Dr. Suggs discussed the impact Onboarding has on organizational success, the necessary elements, and provided hands-on techniques to support the development of an onboarding program for any organization. Mr. Sean Radford provided accommodations at the CNA Insurance Building in their Chicago-based Conference Room. Thank you Mr. Radford for hosting the event at your beautiful facility, and for all the support you provided to help make this event a success! 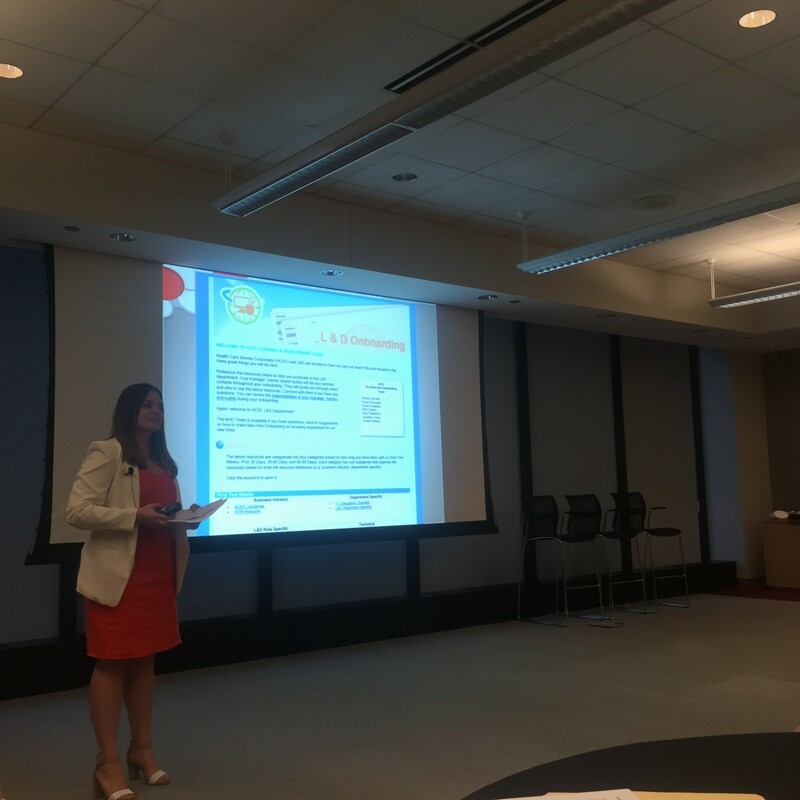 We would like to thank Ms. Naomi Berkove for the opportunity to present during their July 29th Corporate University Professional Development Network event. Thank you for the opportunity to be a part of this amazing event! 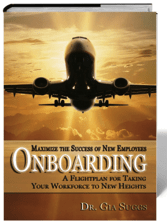 Why Doesn’t Onboarding Receive the Same Planning and Process Attention as Recruiting? 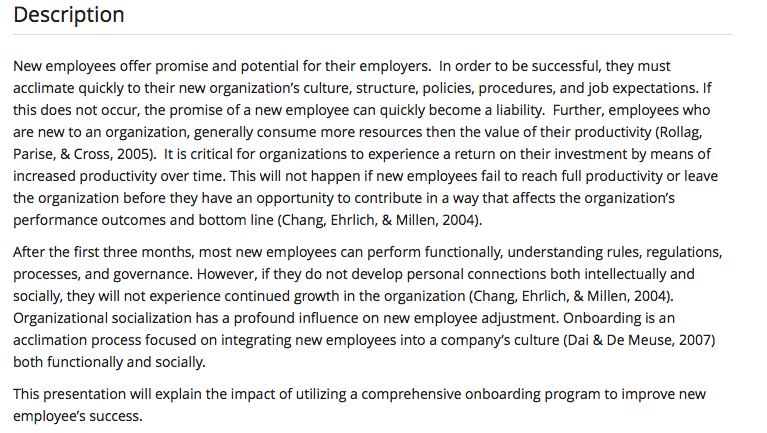 As organizations ramp up for summer hires, the issue of effective Onboarding remains ever-relevant. Join us in July for an exploration of this topic with Defined, Distinguished, & Delivered: Onboarding in 3D. 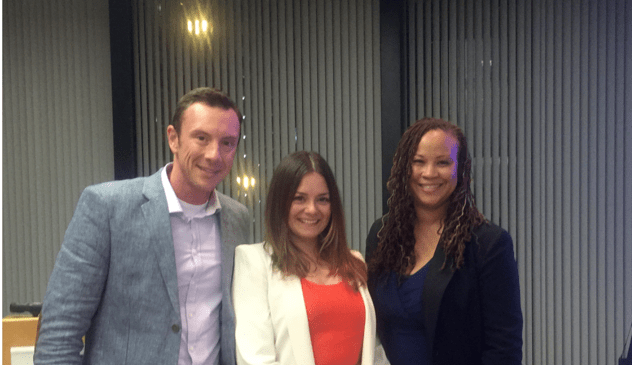 Thanks to Monica Gedris, Jim Axelrad, and Gia Suggs for presenting, Susan Gonzales for organizing, and Sean Radford at CNA for hosting. Hope you can join us for this informative, interactive, and highly engaging learning opportunity! Who: Jim Axelrad is a Manager of Field Sales Capability at CDW, a leading provider of integrated information technology solutions in the U.S. and Canada. In his role, he facilitates visionary sales leadership and business development programs for field salespeople within CDW. Jim’s responsibilities also encompass CDW’s Field Sales Academy for new hires as well as people moving from an inside sales position to the field. Monica Gedris: Monica is a talented and dedicated learning and development professional with 8+ years of experience, designing and developing learning programs for global organizations. She is passionate about leading and building learning and development teams. Currently, Monica is a Manager in Learning & Development. She manages a group of seven instructional designers at Health Care Service Corporation (a parent company of Blue Cross Blue Shield). Dr. Gia Suggs is an Organization Development Consultant. She manages a private practice and is an instructor for the Master of Organizational Leadership and Master of Business Administration programs at Olivet Nazarene University. She is an organization development professional, adult learner expert, skilled instructional designer, and project manager. She has 20 years of organization development, human performance, and training experience. For more information click <HERE>!